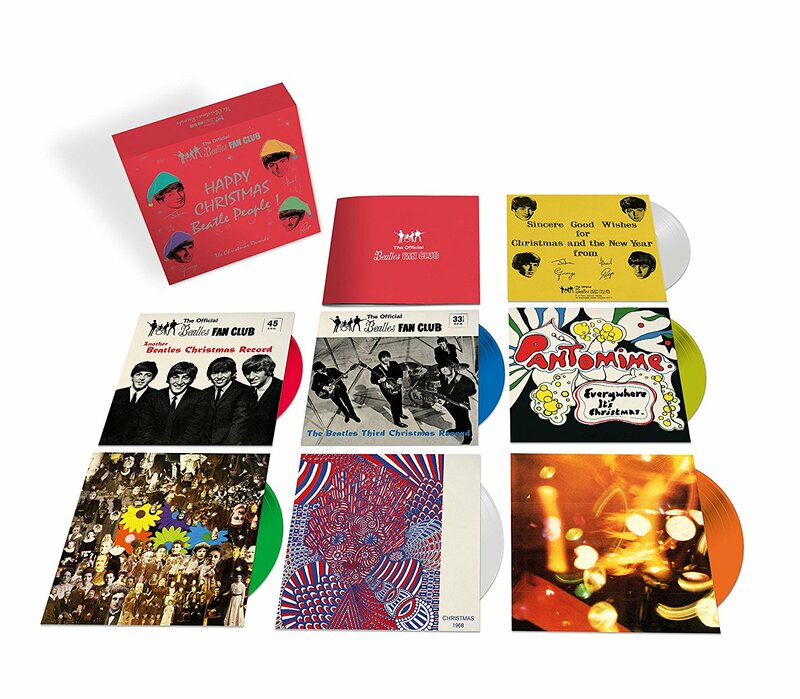 The Fab Four’s legendary festival flexi-discs will get a nice coloured vinyl edition. Christmas Time Is (almost) Here Again! Back in the 1960s, one of the perks of being a member of the Beatles’ Official Fan Club was that every Christmas you’d get a special flexi-disc full of festive greetings recorded by the Fab Four. Pressed onto flimsy, wobbly plastic, the first “Xmas Flexis” was issued in the heady Beatlemania days of 1963 and continued every December until 1969. As the band’s albums became more and more elaborate, so did the flexis. The 1967 edition contains a series of wacky sketches, daft comments from John, Paul, George and Ringo, plus various friends and a maddening, repetitive song called “Christmas Time (Is Here Again). The final two editions were put together by the legendary DJ and Beatlefriend Kenny Everett. Since the Fabs officially called it a day in 1970, that Chrimbo saw the whole set reissued as an LP called From Then To You. But the prized pieces of memorabilia were never officially released outside of members of the Fan Club. The tracks have been bootlegged and re-sold for huge sums. but the seven flexis are now being reissued on what’s described as “a rainbow of seven-inch coloured vinyl singles” for The Christmas Records box set, to be released worldwide on 15 December. The limited edition collection presents each vinyl single with its original flexi-disc sleeve artwork, accompanied by a 16-page booklet with recording notes and reproductions of the fan club’s National Newsletters, which were mailed to members with the seasonal discs. 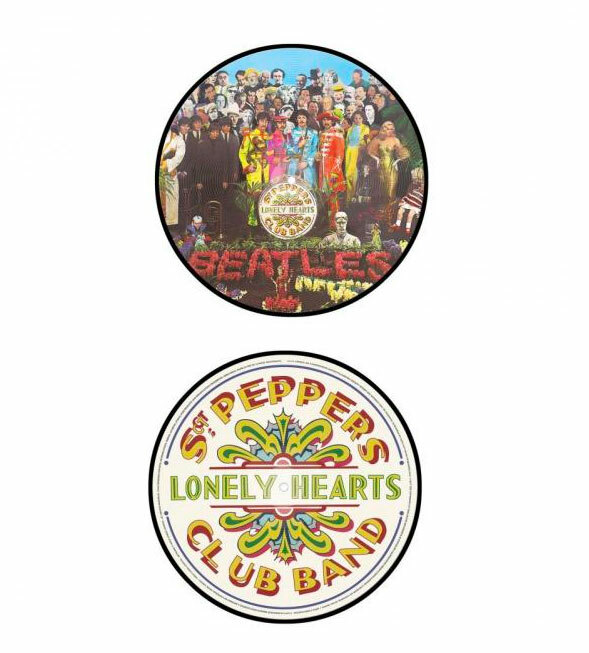 And, if that’s not all, the 50th anniversary celebrations for the classic album Sgt Pepper’s Lonely Hearts Club Band continue with the arrival of a “Deluxe Anniversary Edition” of the 1967 masterpiece, released in “high definition audio”, a 180-gm black vinyl edition of the remastered LP, and a fantastic limited edition picture disc album!